If there’s one thing you should know about Crete, is that it just ticks all the boxes! Amazing beaches, traditional hotels, natural beauty, perfect island hopping itineraries, easy access… And we could go on forever. You actually have to make effort to find something missing from Crete island. So, since there’s nothing to hate, there are plenty of things to love. Keep reading to find out why you and Crete will be love at first sight! Chania, one of the most picturesque cities of Crete, breaths history and tradition. If you are a history nerd like us, you’ll just love it. Like, really love it! The area looks like you are walking in an old Venetian city and has retained the picturesque architecture of the past. You might actually have to blink twice to check that you’re still in the present. Ready for some historical info? Crete came under the Venetian Rule after the Fourth Crusade. That was when Crete was sold to Venetians for 100 silver marks in early 13th century. After that, the island has suffered various occupations and wars, including the Ottoman rule and the World War II. As a result of its turbulent past, Crete is an alive monument itself. The first place you need to visit when you arrive in Chania is the Venetian Port, around which spreads the Old Town. The Old Town is very close to Souda, the port where the ferry to Chania arrives. This gorgeous town is a miracle of mixed architecture, open space and traditional restaurants. One of the must things to do is to visit a traditional restaurant and taste the famous “Tsikoudia”. Well, this is one of the most famous alcoholic beverages in Crete, containing almost 45% alcohol. Do you dare to try it? Another thing about Chania is its architecture. The Venetian and Turkish-style mansions, the buildings and the slated backstreets give the city a very cosmopolitan outlook. As the sun goes down, you can enjoy a drink at the various secret cafes and roof bars. Some other beautiful towns in Crete are Lassithi, Heraklion and Rethymnon. If you travel with your family, these are the perfect holiday destinations. Beaches are a central part of your summer holidays in Greece. Crete couldn’t be an exception. Although Crete beaches tend to be a bit far away from the center, they are certainly worth visiting. Wondering what the best beaches in Crete are? 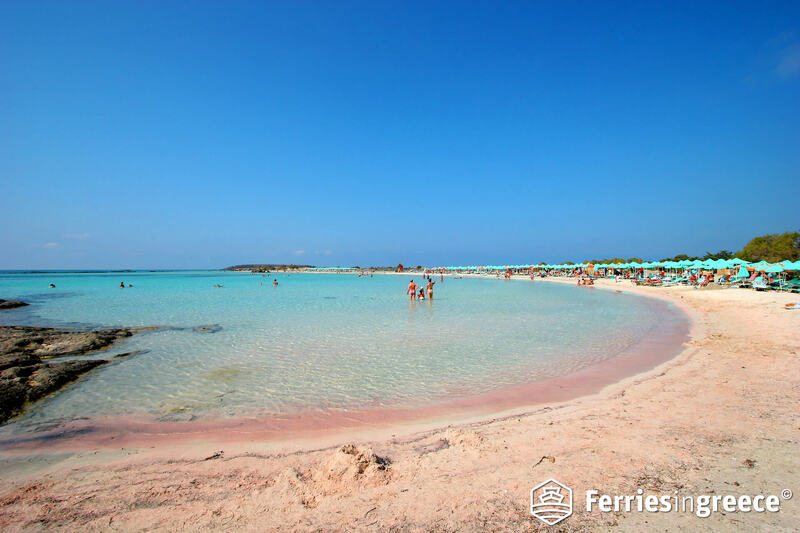 Well, Balos beach, Elafonissi beach and Falassarna beach are on the top of our list. Elafonissi beach is a small islet that is connected to the rest of Crete with a walkable reef. True love or what? It is around 76 km away from Chania and it can be reached either by car or by boat. Its landscape is simply breathtaking. It looks like the beach is a separate Caribbean islet and even has pink sand at some points! Can you think of anything better? Is this a no? 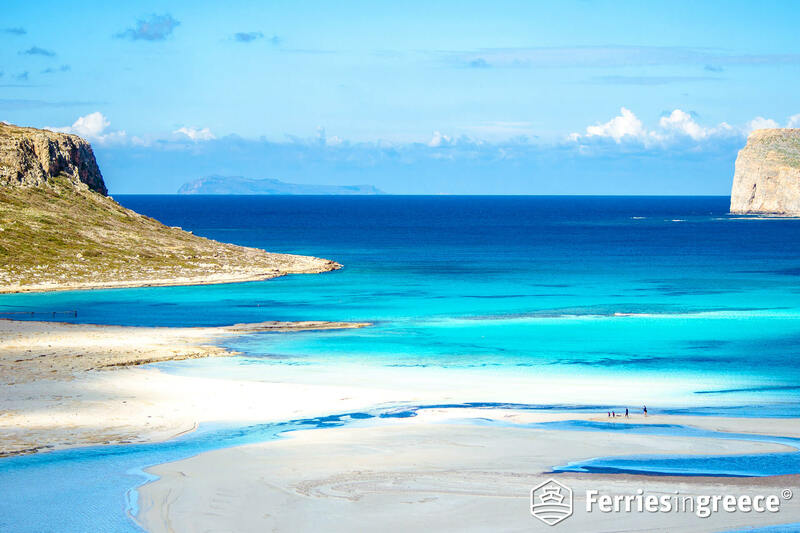 Balos beach is 60 km northwest of Chania and -wait for it- it looks like a lagoon! No wonder why it is one of the most popular and photographed Crete beaches! It is an endless exotic sandy beach with white soft sand and crystal clear waters. Its landscape is the definition of natural beauty! It consists of small hills and has a very distinct shape. Falassarna beach is a deep blue waters and white sand kind of paradise! It is 58 km away from Chania and has been voted as one of the top 10 beaches in Europe. 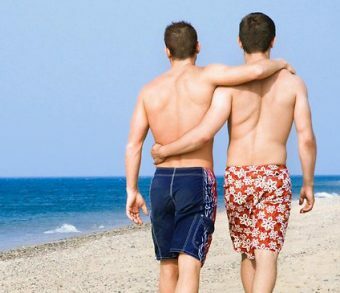 This beach has a few sunbeds and offers some amazing sunset views. However, it is better to avoid swimming there when the place gets windy. If we had to put a finger on why we love Crete, it would be its natural beauty! One of the most important parts of this natural beauty is -what else- its gorges. They literally look like someone has cut the mountain in two with a knife. No joking! These gorges are walkable! This means that you can wander in the wild nature and maybe meet some of the famous local kri-kri goats. So what are the gorges you just can’t miss visiting in Crete? The gorge of Samaria is located in the southern part of Chania, in western Crete. Most of it belongs to Sfakia municipality. Its length is 18 km and it is the longest gorge of Crete and Europe! It has uneven ground, so be prepared for a 5-6 hours hike. Moreover, flora and fauna in the gorge of Samaria are extremely rich. It is reported that there are 450 species of plants there. Impressive, right? In this gorge you will also find the village of Samaria which is located just before the middle of the gorge and was evacuated in 1962. Samaria village is a good opportunity to have a taste of the traditional Cretan architecture! What’s more, it’s a great resting point in the middle of your journey. Fact: In 1962, Samaria was proclaimed as one of the first National Parks in the country. On the western side of the White Mountains, there is the amazing gorge of Agia Irini. This gorge is named after the village Agia Irini, located near the northern entrance of the gorge. The gorge of Agia Irini is part of the European Road E4, it’s length is 7.5 km and it takes about 3 hours to cross it. You can reach the entrance of the gorge from Sougia by taxi or by bus to Chania. The path into the gorge of Agia Irini has no particular difficulties and is relatively relaxed. Just imagine a beautiful path next to the waters of the river Agierinioti, under the shade of the trees. Does it sound like an idyllic location? Well, it is! Kourtaliotiko gorge is located in Rethymno. It is, hands down, one of the most beautiful gorges in Crete. Its length is 2.5 – 3 km and it ends at the Lagoon of Preveli. The height difference between the input – output of the gorge is 150 meters. It is composed by imposing slides that reach 600 meters, limestone rocks and many small caves. In the middle of the gorge, there is a surprise! In a cave, on the west side of the gorge, there is a small picturesque church. Near the church, you’ll also find the gorgeous springs of Kourtalioti. There are also waterfalls at the springs. So, you know what this means. Splash paradise! Agiofarago is a small gorge located south of Matala and west of Kaloi Limenes in Heraklion. This is probably the most impressive Cretan gorge and it’s about 1.5 km long. It takes approximately 90 minutes to cross it. What’s more, at the longest route of the gorge, you’ll see gorgeous rocks . These rocks are scattered with numerous caves. Inside those caves, ascetics, who used to live in the gorge for centuries, had their hermitages. But, you’ll probably want a way to get refreshed at the end of your hiking route. Right? Lucky you! At the end of the gorge you’ll find a magnificent beach to rest and swim. Tip: Just before the beach, there is the picturesque church of St. Anthony, dating from the 13th century. Don’t miss to visit it! The gorge of Ha is a special feature of region of Ierapetra! It is located next to the village and the Minoan ruins of the Basilica. Truth is, it is considered as one of the wildest gorges in Greece. Not to mention that it is a rare natural morphological phenomenon! Its total length is 1.6 km and it’s rich in endemic species of flora and avifauna. The entrance is very narrow, but the opening widens upwards. The width of many points is only 30 cm and in other, doesn’t exceed the 3 meters. We’re sure you can imagine what an interesting landscape it is! With millions of visitors every summer, Crete is connected with almost every Greek port! 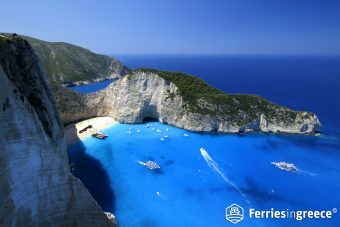 This means, there are many ferry schedules to Athens, other Greek islands and other ports of the mainland. Traveling by ferry to Crete is easy and comfortable, especially in summer season. 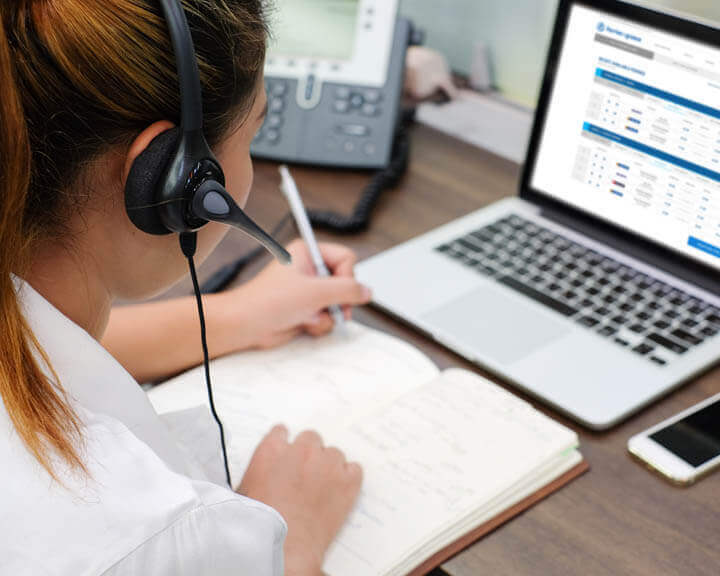 So, what are the options of reaching Crete? There are ferries from Piraeus port, the central port of Athens, to Crete all year round. 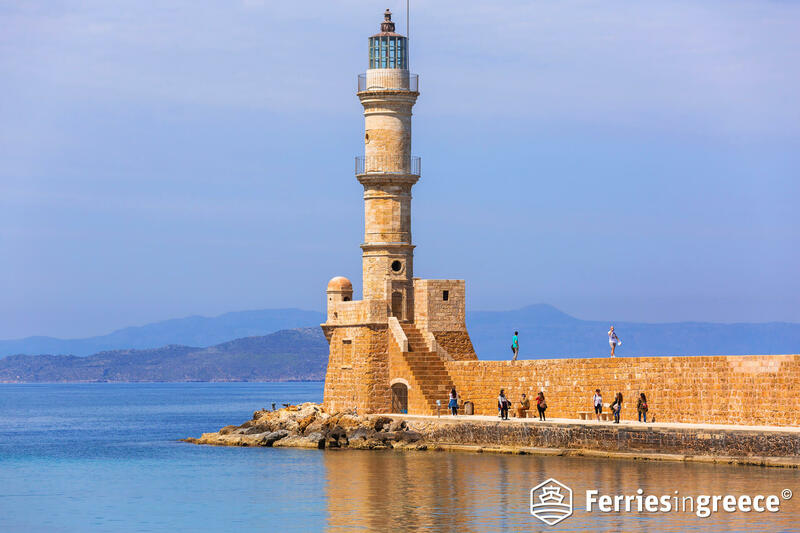 Ferries from Athens to Heraklion depart two or three times a day. 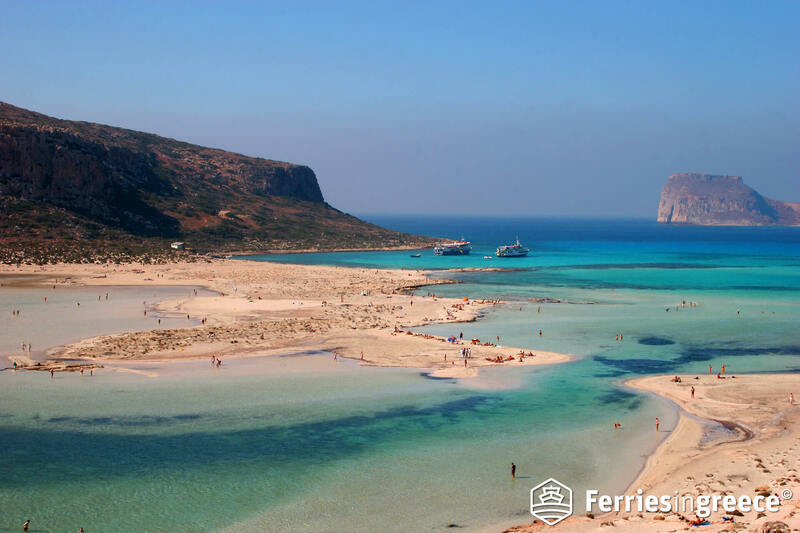 Ferries from Athens to Chania usually depart once a day, or twice a day in high season. Once or twice per week, there are also ferries from Piraeus to Sitia, a small port on the eastern side of Crete (region of Lassithi). 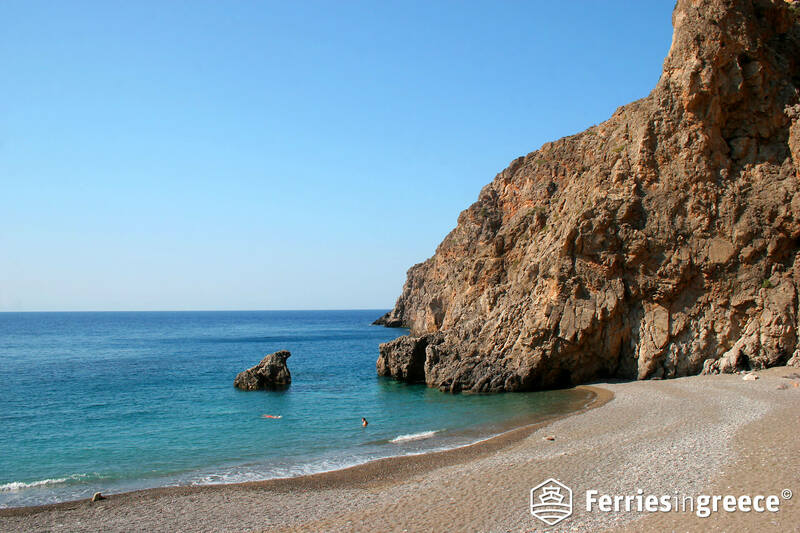 In the summer, there are daily ferries from the port of Santorini to Heraklion Crete. During off season, there are ferry routes once or twice per week. Ferries from Rhodes to Heraklion Crete run twice or three times a week. These ferries also stop to other islands of Dodecanese, like Karpathos and Kassos. 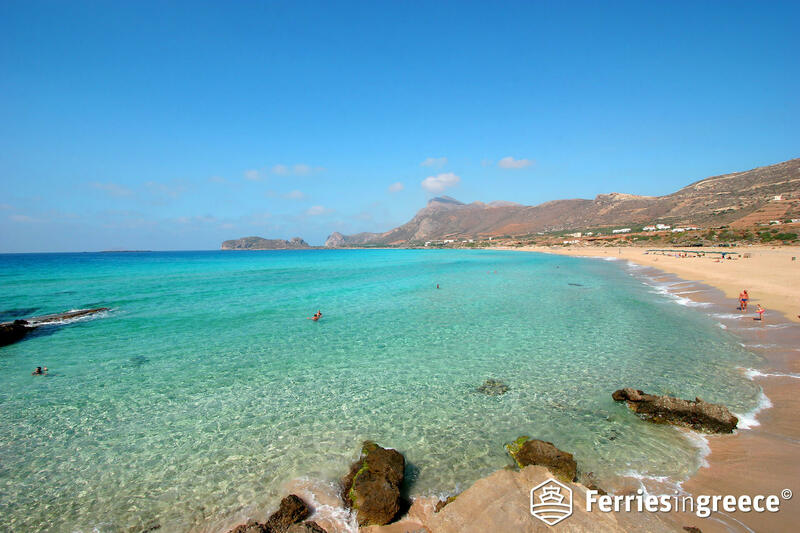 There are local ferries from Karpathos to the ports of Heraklion and Sitia in Crete. These ferries are not daily, but usually run twice or three times per week. 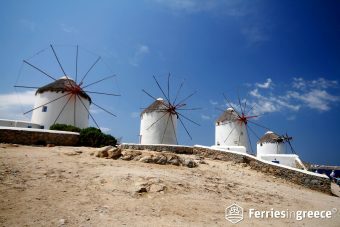 In the summer, there are ferries to Crete from various islands of Cyclades, such as Mykonos, Milos, Ios and Paros. These ferries run only during tourist season. During high season, there is a ferry connecting Gythio, a port town in Peloponnese, with Kythira, Antikythira and Kissamos. There is also another ferry that runs once a week from Piraeus to Monemvasia, Kythira, Antikythira and Kissamos. Gavdos is the southernmost island of Greece. It is also connected by ferry with southern Crete. The ferries to Gavdos run from the small port of Paleochora three times a week. 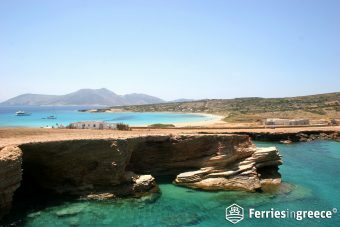 Occasionally in summer, there may be ferries to Gavdos from the ports of Sfakia and Agia Roumeli, also in southern Crete. Blinding flash of the obvious, but Crete is a very famous holiday destination! The two largest airports of the island, one in Heraklion and the other in Chania, serve international flights. You know what this means! Thousands of tourists from all over the world travel to Crete every summer. However, lot’s of travelers consider Crete as a starting point for their holidays. Yeah, Crete is in the island hopping game for a while now. But what are our all time favorite island hopping routes from Crete? One of the most popular Greek islands for island hopping from Crete is Santorini. Located in the southern side of the Aegean Sea, Santorini is a romantic getaway for couples and a piece of paradise for everyone. The famous caldera, sunsets to die for, pebbled beaches, unique villages… We could go on and on! The best part though is that this scenery is just a 2 hours ferry trip from Heraklion. 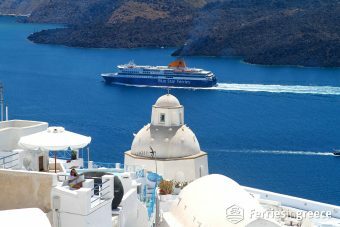 In high season, ferries to Santorini from Heraklion depart daily. However, in low season schedules are less frequent. Do you think that’s all? Nope! Santorini can also be a starting point for traveling to other islands of Cyclades. 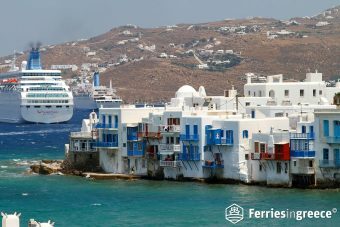 There are frequent ferries departing from Santorini to Mykonos, Paros, Naxos, Milos and more. 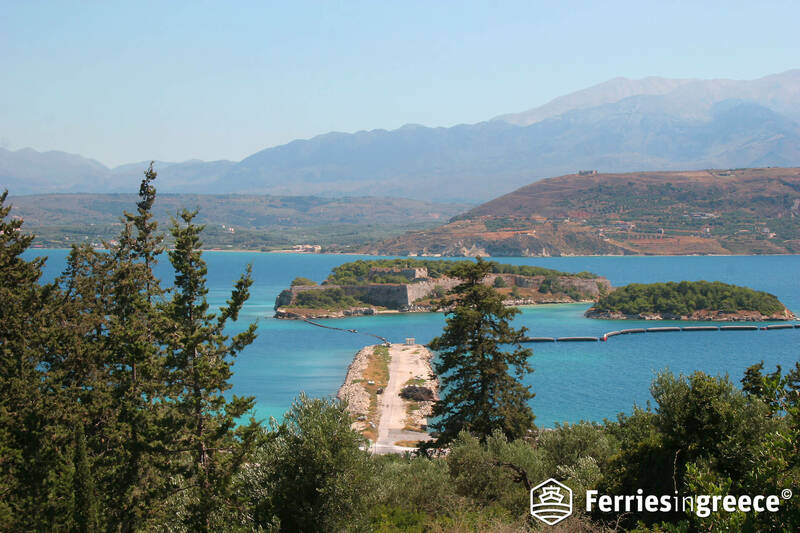 Another direct ferry route from Heraklion is the one to Rhodes. 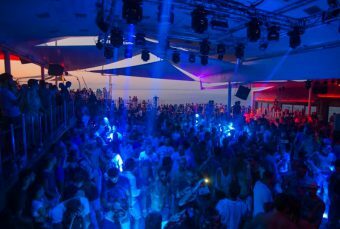 Rhodes is a very popular summer destination at the southeastern side of the Aegean Sea. It combines rich history and natural beauty with a modern lifestyle. Killer combination, right? 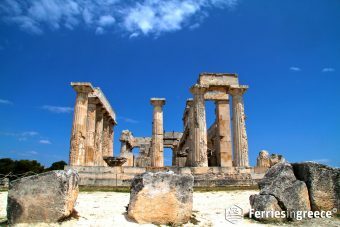 Island hopping from Crete to Rhodes is easy, as ferries to Rhodes from Heraklion depart 3 times per week in the summer. This way, you get from the Minoan sites of Crete to the Medieval atmosphere of Rhodes. As a result you cross out two destinations of your bucket list at once! Time for an island hopping option off the beaten tourist trail! 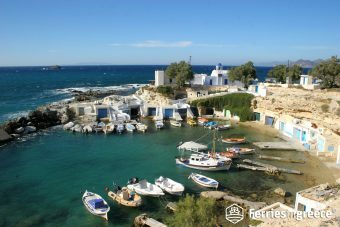 Ferries to Karpathos from Heraklion travel twice per week in summer. This beautiful Aegean Sea island is everything! Its exotic beaches and the picturesque villages in the countryside will definitely steal your heart! The ferry from Heraklion to Karpathos also makes a stop at Sitia, a small port in Lassithi at eastern Crete. This means, you can also start your island hopping trip from there. Next to Karpathos, there is a tiny island with totally remote atmosphere, Kassos. There’s an option to include Kassos in your island hopping schedule from Crete. A ferry from Heraklion and Sitia passes by Kassos before arriving in Karpathos. All in all, there are more than 5 reasons why Crete is love at first sight. You know there’s one way to discover the rest of them. 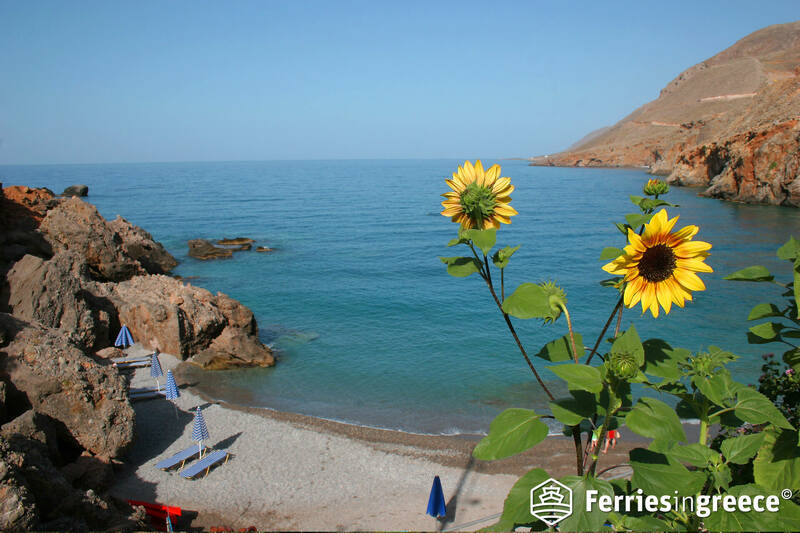 Book your ferry tickets to Crete and live your best holiday experience!